We provide cell phone repair at our Cary North Carolina location. If you are a local Cary resident or are in Cary from out of town you can get your cell phone repaired here in around an hour or so in most cases, provided we have the parts in stock. Cell phone repairs are provided Monday – Friday 9AM – 6PM. Call first on Saturday. Please call first to check turnaround times and inventory. The list of cell phones which we repair is constantly growing. The most common service performed is LCD glass replacement. We try to keep most repairs around $119 and items in stock for a fast replacement. If you have a problem other than an LCD repair parts may need to be ordered. Will getting my cell phone repaired void my warranty? Fixing your phone will not void your warranty, but breaking it will. 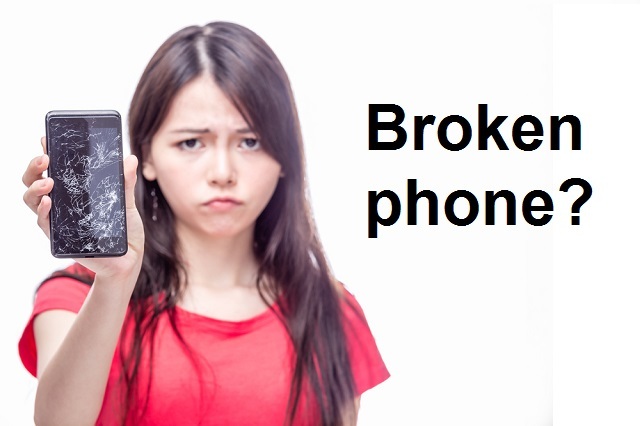 If you phone is broken, spill damaged, or has a cracked screen, you warranty is already void. Should I back up my phone before getting a repair? Yes. While simple tasks such as replacing a screen should not affect the data on your phone in any way, if you have important data, you should keep it backed up at all times. If you do not have a backup, please DO back it up prior to bringing your cell phone in for repair. While we strive to never lose anyone’s data ever, our technicians are human and data loss can occur. While we will feel terrible we will not be held liable in any way, shape, or form and by getting your phone repaired here (or anywhere that we’re aware of). Why are you so much cheaper than the official Apple store? We have always provided reasonable rates. In fact, we keep them as cheap as possible while paying our employees the best that we can so they can provide you with great service. An iPhone 5S customer told us today they were quoted $259 by the local Genius Bar. Our best guess is that Apple is just not in the repair business. Which is fine, as we’re not in the cell phone manufacturing business. We feel that we compliment each other nicely. Are you using cheap parts? We will only use the best quality parts that we can obtain to fix your cell phone. Not all cell phone repair parts are created equally. We are the #1 source for laptop repair in North Carolina. Since 2001 we have learned that cheap parts equal failures and people left stranded with something broken that they just paid to have fixed. We do not want that to happen. Can I fix this myself? Possibly. If you have the right tools, watch some YouTube videos, and don’t mind taking some chances you can probably fix it yourself. Most people break the glass on their first several repairs os it is usually cheaper to just pay to do it. Do you fix spill damage? Sometimes. Spill damaged units and other odd cell phone problems must be dropped off and go through our normal free diagnostics program which takes 2-3 business days.